1 Bed | 1 Bath | 719 Sqft Disagree? 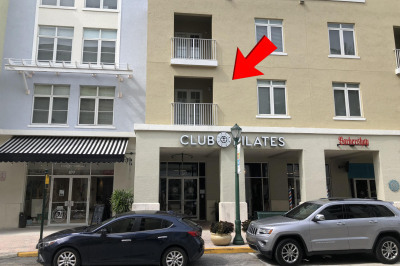 Immaculate 1 BR/1 BA Condo in the heart of Downtown Abacoa. Assigned parking, cable TV & internet included in rent, plus free Wi-Fi all over the downtown area. Brand new waterproof vinyl plank flooring in great room, brand new carpet in bedroom. Southeast exposure from your PRIVATE BALCONY! Whole downtown area completely renovated, with extra-wide sidewalks and new landscaping. Community pool, fitness center, tennis courts, amphitheater, basketball & racquetball courts, mini-golf, parks, pet friendly community.